To celebrate the end of the NHL lockout, we’re hitting the ice! 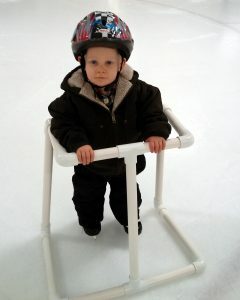 Once toddlers are up and walking, a lot of new activities open up to them, and ice skating is one of them*. 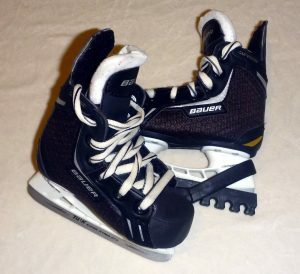 Hockey skates come in sizes as small as youth 6 (you may be able to find youth size 5), which are about the equivalent of shoe size 7, and at about $40 for a decent pair, these won’t break the bank. Knowing that, like everything else with children, they won’t last forever is easier to stomach because youth skates have good resell (try to find a pair on ebay for significantly less than brand new). For at least the first several visits to the ice rinks, don’t expect more than your young Gretzky to do much more than develop his or her ‘ice-legs’. Most rinks have orange traffic cones available for kids to hold on to and a popular suggestion is to push a 5-gallon bucket to simulate the same motion of skating, but the best option is a ice skate trainer or coach. 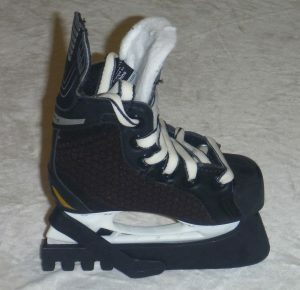 Extremely simplistic, these trainers look like a walker: a bar to hold on to for balance and legs that stand on and slide on the ice. 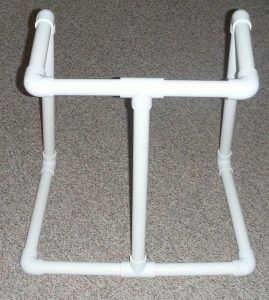 Very basic structure, but these sell online for over $30. 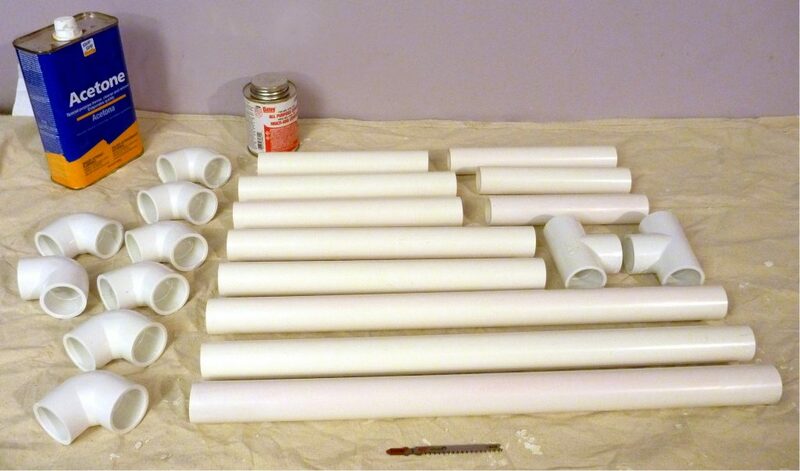 With a little know-how, though, they can be made for about $10 in materials and less than an hour in labor. 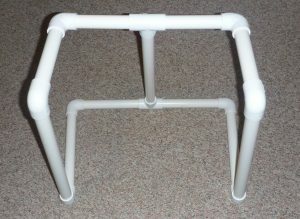 The extra benefit of doing it yourself is building a trainer for the exact high of your child. 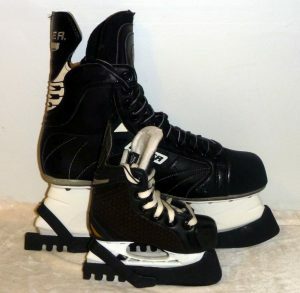 Ice skating is not only a great physical activity, but it’s also a preamble to rollerskating, as the two sports share the similar motion. 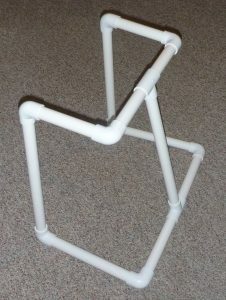 On a side note, the PVC Trainer has the same structure as a soccer goal or hockey net, and adding a mesh enclosure to the back and sides would be an easy way to make this a multi-functioning piece of sports equipment (with consideration to size, of course). *Not all activities are suited for every child, and with all activities, make sure proper safety is followed.